Those on the side of good rally quickly around here. If you missed the fundraiser for Josephine Johnson at Mad River Brewery last Sunday, you can still make a donation to replace her stolen goods here. 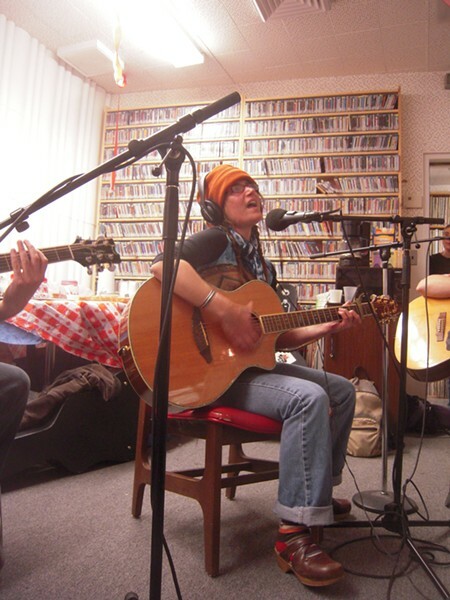 Just over a week ago, Johnson (she of the guitar, newsboy hat and lovely music) was robbed. Her stuff (right down to the Q-tips) was stolen from her "crack shack" apartment by nefarious types. Check out her blog for details of the crime. According to her Facebook page, police are looking into fingerprints on a doughnut box left at the scene. Really. And here's a ditty from our local songstress, just because.